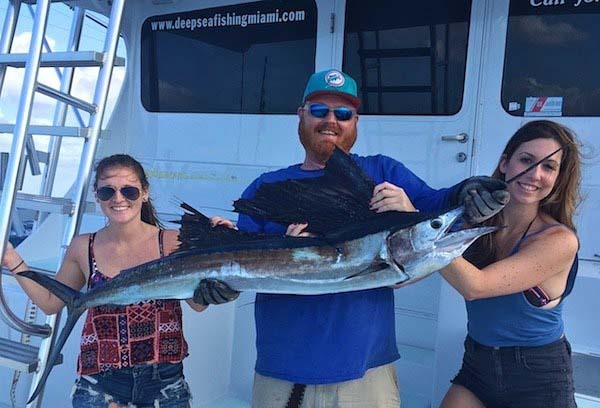 Miami Fall Fishing Report continues to be GEAT. 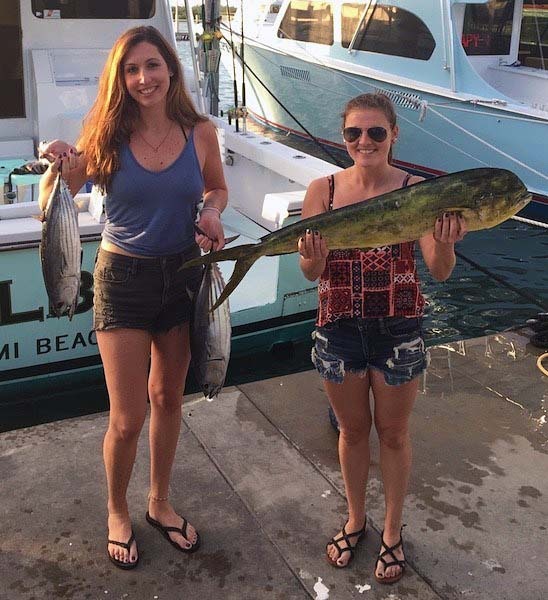 Fishing off Miami and Miami Beach is getting better and better as the days move us closer to the winter months. 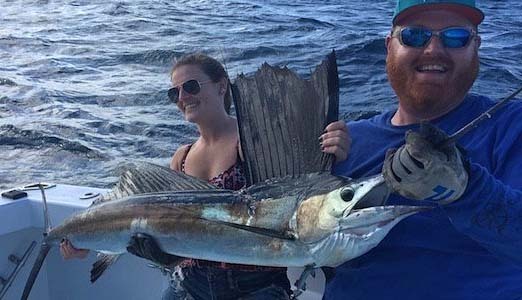 Sailfish fishing on the deep reef continues to be excellent. We are catching Sailfish while trolling rigged Ballyhoo and fresh Bonita strips. Slow trolling with live small “bullets” bonita or kite fishing with live Blue Runners or Thread Herring has also been very productive. As the Fall weather begins to pull the water temperature down, Mahi Mahi also known as Dolphin Fish migrate close to the edge of the deep reef. This past week were were finding groups of “Gaffer” sized Dolphin in as shadow as 90 foot of water out to about 500 foot of water. Off Miami and Miami Beach that is from about one mile off the beach to about two and a half miles off the beach. 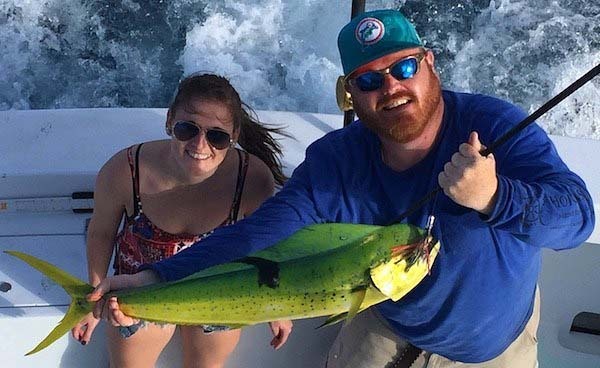 Birds have been the key to finding the Mahi Mahi. Frigate birds and small groups of Turns are the best at pointing out the Dolphin Fish. Either trolling a spread of rigged Ballyhoo and feather and small lure combinations have been very productive. We will also try to spot the fish moving through the water and cast small live Blue Runners at the individual fish. Both techniques have been productive. Mixed in between the Sailfish and the Mahi Mahi have been quite a few Skipjack Tuna. The Tunas have also been under the birds, especially the Turns. Trolling small feathers have been the most productive method of catching the tunas. Add in a “bird” teaser in front of the feathers and you have just stepped up your game.